The MRP Price of Nokia X in India is 9499 Rs and Flipkart is selling in 5799 Rs. Here you will get the Nokia X Dual sim in just 3499 Rs. 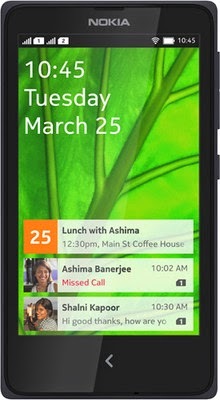 A nokia phone having the Android OS, which is running almost all the Android apps with 4 inch Screen. How to Buy Nokia X in just 3499 Rs?